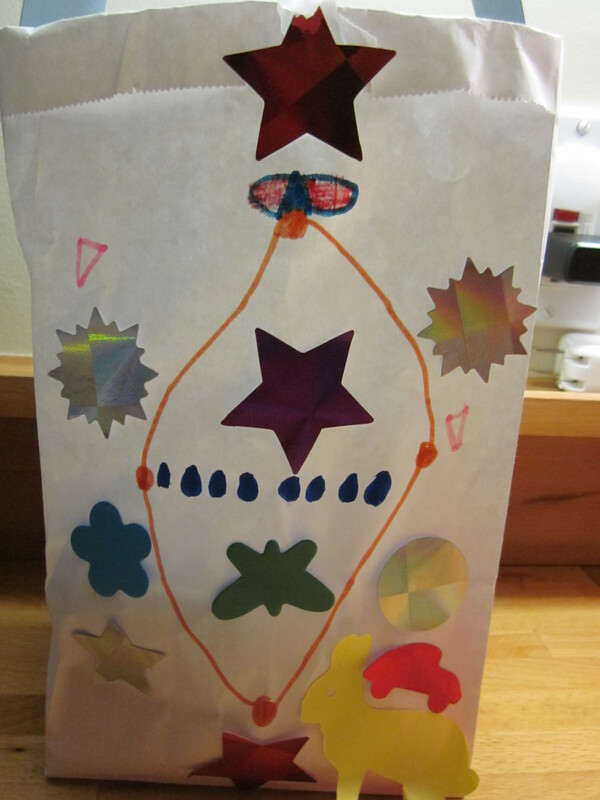 Recently our son decided that Jewish holidays were depressing relative to Christian ones. On Passover you stop eating bread and on Yom Kippur you stop eating altogether. Whereas on Christmas you get presents and on Easter you get candy. Even Matt’s efforts to promote Hanukkah and Purim did not impress him, as he is not a fan of fried food or Hamentaschen. The Jewish tradition was starting to come off like the enemy of fun. Technically we are an interfaith family (I come from a long line of Protestants). We usually have a Christmas tree but have never done anything for Easter. What can I say? We may be interfaith but our true religion is laziness. Before we had kids we exchanged unwrapped chocolate bars and went hiking for Christmas (still do!) At any rate, our son was ready to renounce his faith after contemplating Passover v. Easter this year. He wanted candy and he wanted to go on an egg hunt. The things kids learn at school! And one-third of his class is Jewish, too, although our son is the only Caucasian one, and that was a weird discovery at Rosh Hashanah last year, as each of these kids had been assuming they were the only representatives of the faith. I digress. Our son insisted he didn’t want to be Jewish anymore if he couldn’t celebrate Easter. We decided to play the interfaith card and start celebrating Easter. Fortunately for us, we had all noticed the signs advertising the SF Parks and Rec Eggstravaganza the day before Easter in Sharon Meadow, next to the Children’s Quarter. 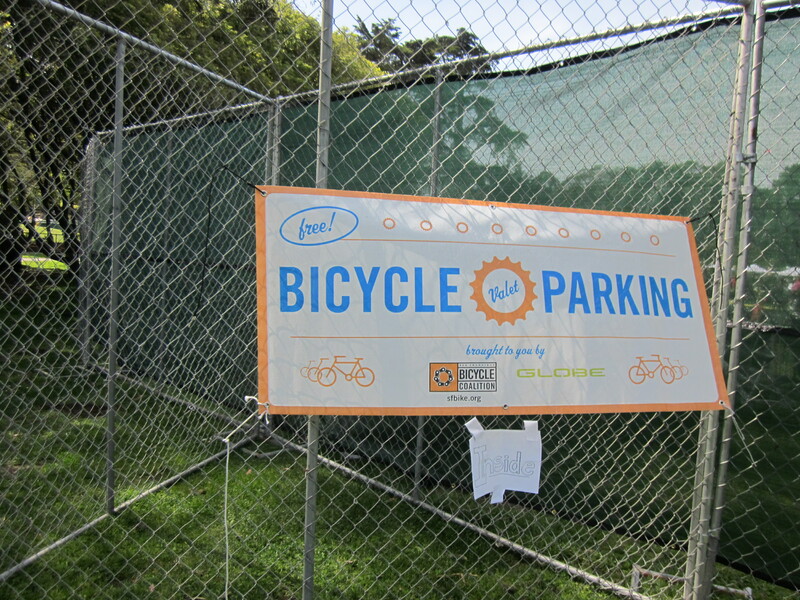 As a bonus, like virtually all events in Golden Gate Park, it would have free valet bicycle parking. Our kids were over the moon with excitement at the prospect of going egg-hunting in the park. I was pleased I wouldn’t have to figure out something at home—we have no yard, so an egg hunt would have been challenging. And we wouldn’t have to drive anywhere or walk to the park (which would definitely imply carrying our kids up the hill) or worry about finding bike parking. Although I hate crowds I have found I’m willing to attempt a lot of events I wouldn’t otherwise consider if there is a bike valet. Much of the Eggstravaganza was not really our kind of thing. It was obscenely crowded, featured terrible food (stale popcorn and “nachos” with neon orange cheese sauce), politically incorrect rides (the ghastly “Hillbilly”), a petting zoo filled with terrorized rabbits and goats, and long, long lines for all of these things. 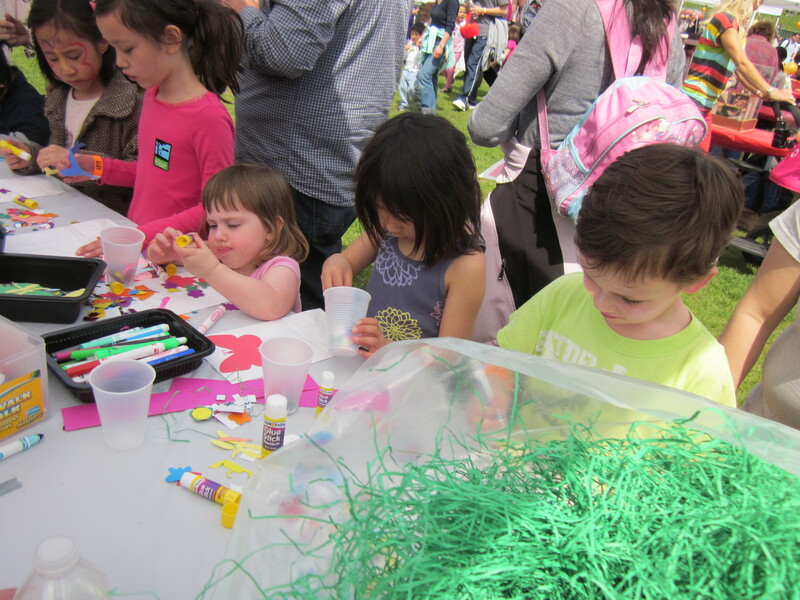 But there were also less crowded craft booths for making hats and Easter bags, egg hunts with almost no lines, play areas with dancing, and napping tents. After the first 30 minutes we realized we could stick to the fun stuff—making things, dancing, and hunting for eggs. The kids were absolutely delighted. The egg hunt was a huge hit. You would have thought those cheap plastic eggs had been laid by unicorns. Also we were two of only six bikes at the bike valet, in a crowd of thousands. The valets had started parking kids’ scooters by the time we left just to have something to do. Our choice to ride our bikes did at least draw envious comments from people saying that they should have done that, probably because parking for cars was beyond nightmarish. I realized that the bike valet had not been well-advertised, as most people who talked with us had not realized it was there. 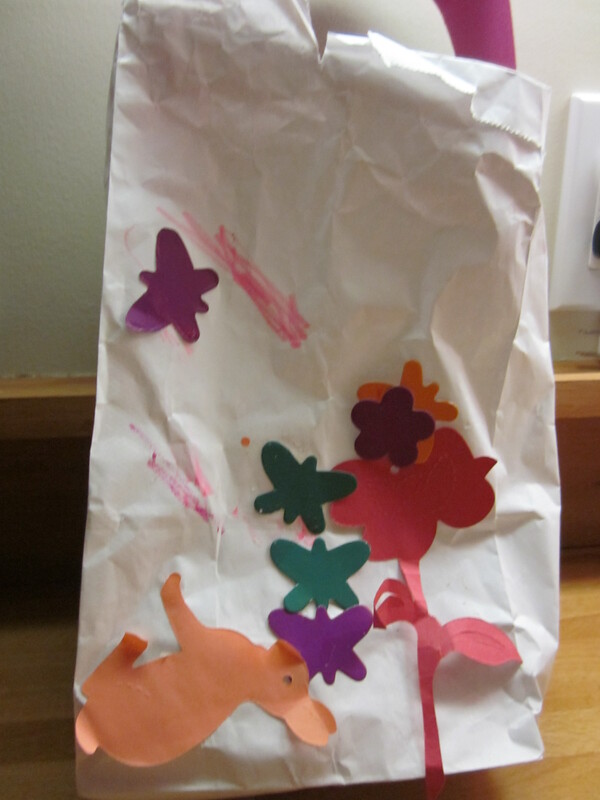 When we got home I made our kids a morning Easter surprise using little green plastic strawberry baskets, some paper grass we’d picked up at the Eggstravaganza, a bag of peanut butter M&Ms chosen for their vaguely eggy shapes, and lavender Peeps. To my shock, they actually ate the Peeps. And they declared it the best Easter ever. Clearly we have kept their expectations low.